Map of the project area. 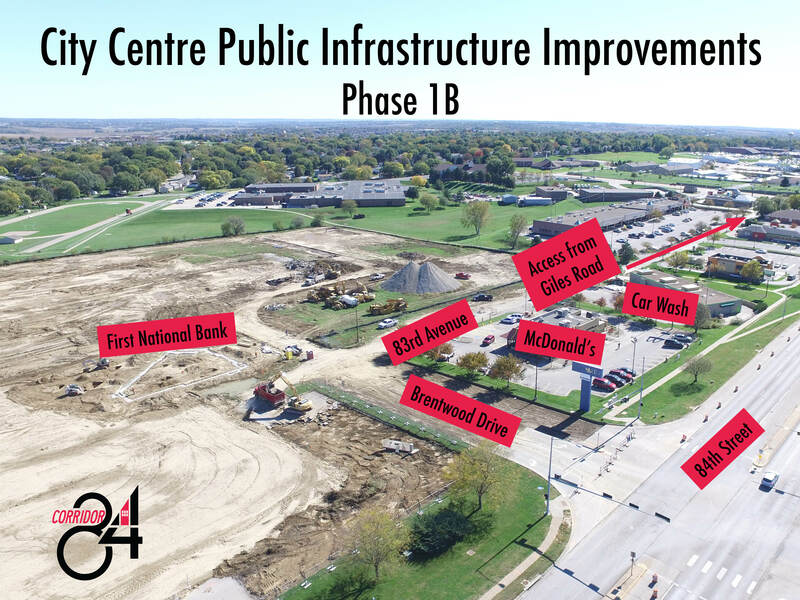 Beginning Wednesday, October 12, Brentwood Drive east of 84th Street will be closed to allow construction of Phase 1B of the City Centre Public Infrastructure project. Phase 1B of this project will include construction of streets and sewers at the entrance to City Centre going to the east and north for the new First National Bank facility to be constructed in the area. This project will also proceed down 83rd Avenue in front of the existing McDonald's restaurant. Businesses located along 83rd Street, such as McDonald's, Fazoli's and Taco Bell, can be accessed via Giles Road. This project will be complete within approximately six weeks. 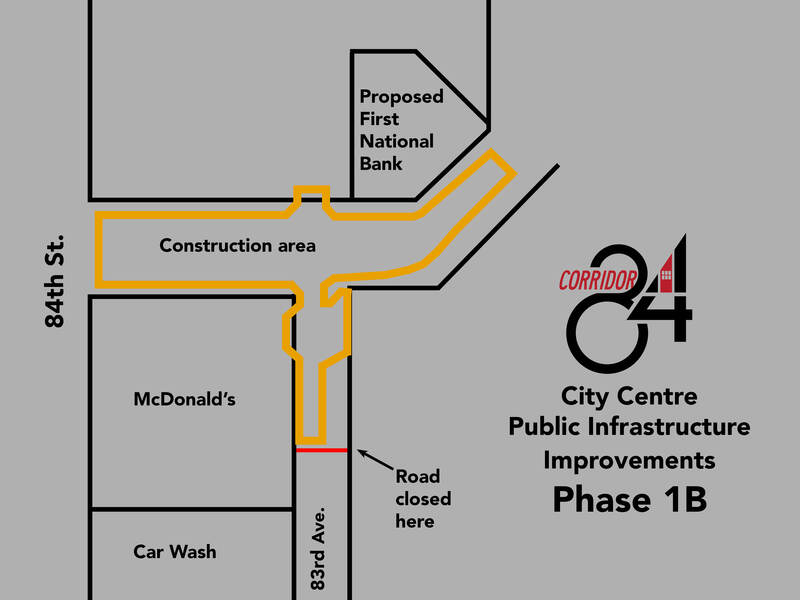 This phase of public infrastructure improvements will stop just past McDonald’s north driveway, which is necessary to maintain access to that business during construction. The next phase will be to finish improvements to 83rd Avenue to the south side of the car wash, which is where the City Centre developer’s land ends. Details about when that next phase would take place is still being determined, but as soon as we have a schedule in place, we will be sure to share that as well. South of the car wash, 83rd Avenue is a private roadway with several property owners. The City does not have authority to improve the private roadway at this time.